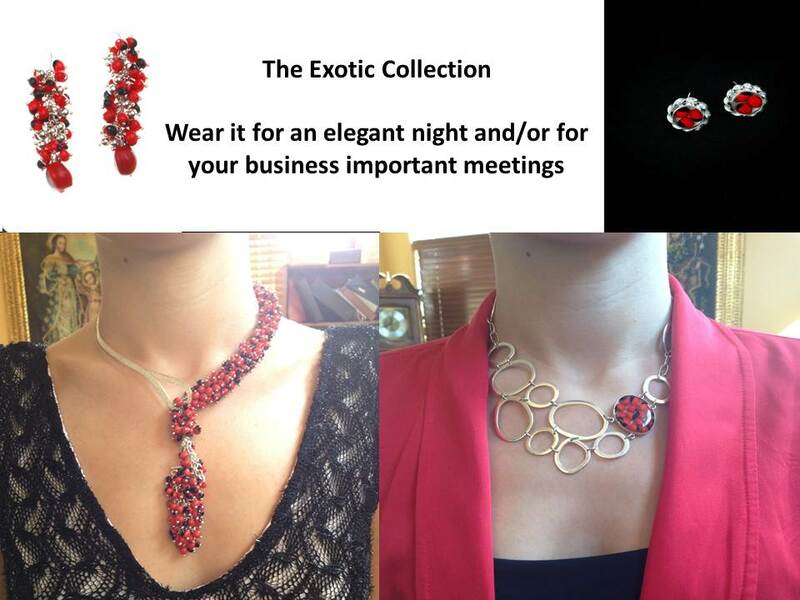 I have heard at different events, shows, small gatherings, etc… I don’t know how to wear red or how to wear your jewelry designs with red? or simply can you give me ideas of how to combine red with other colors? Many of you that have seen or bought my jewelry and have asked what can I wear with red jewelry? Therefore to give you all insights here is a blog post that is going to explain all that. Getting close to the holidays RED is a color that is IN this year and for many years is the IN & HOT color of the holidays. I find that whenever I wear grey I have to spice it up with some red because grey can be so boring. Therefore you can transform a boring grey outfit into something amazing with a bit of red. Spice it up with our exotic braided bracelet. Spice up your gray outfits & have fun wearing it. 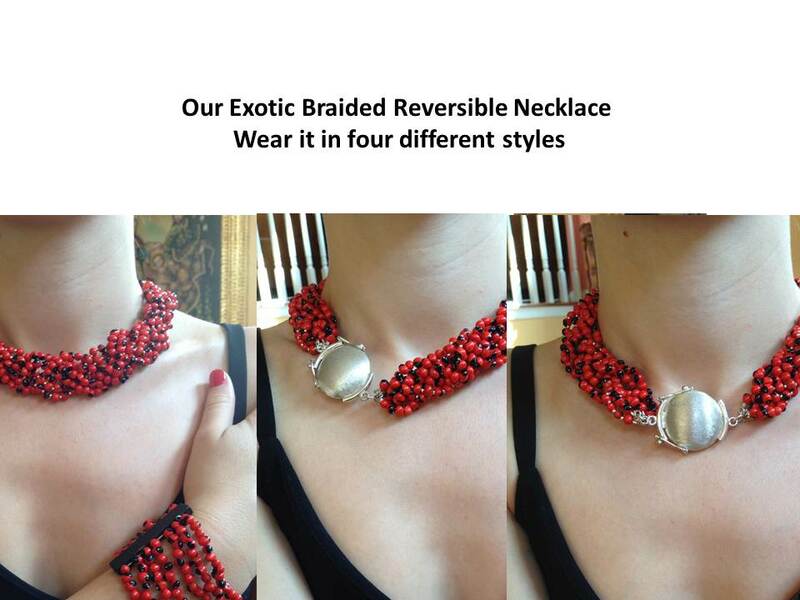 The Exotic Braided Reversible Necklace can be worn in four different styles. Two colours that I love combining that work well during summer are light blue and red. As you can see below my intern added my classic small red Huayruro seeds, a silver ring with the red and black Huayruro seed, red nails with a simple light blue shirt. This made an otherwise simple outfit very stunning.